shekels of millions of entertainment starved gamers. Nintendo's little plumber, Mario, was getting all the quality time with gamers at the time, while Sega was searching for an answer to the growing monopoly of Nintendo's little plumber. Streaking into gamers' life came Sonic the Hedgehog, a blue streak of lightening that altered the landscape of the interactive entertainment industry, giving Sega the competitor they needed to give Mario a good fight. Sonic the Hedgehog turned Sega's world upside down as gamers were slipping Sonic into their console more often and making the bean counters over at Nintendo take notice of the little blue steak. 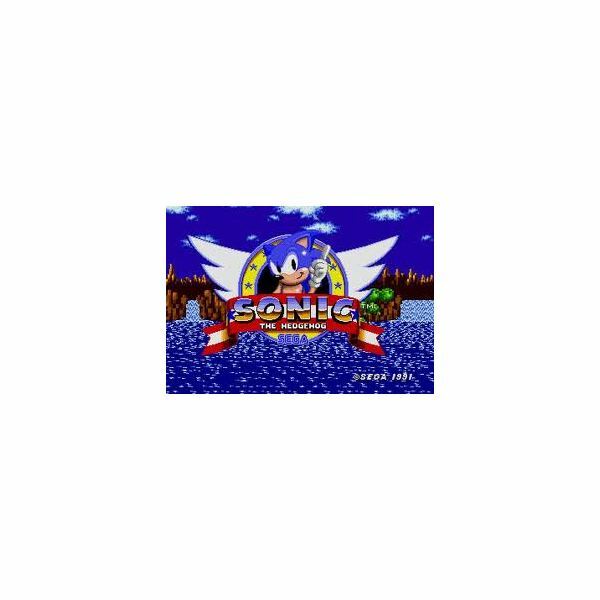 Designed to be quick, beautifully colored, and immensely challenging, Sonic the Hedgehog was a hit with its increasing level difficulty and finely tuned and surprisingly easy game mechanics. The original 8-bit Sonic the Hedgehog has been seen streaking across the screens of Wii console users lately. Part of the Wii Virtual Console Service, fans of the blue-demon will be feeling a little nostalgic and maybe even a little déjà vu`. The sinister and determined Dr. Robotnik is capturing innocent animals, once again, and Sonic is suiting up to bring his nefarious plans to an end with his normal flare and skill. Determined to rescue the animals and retrieve the six Chaos Emeralds stolen by Dr. Robotnik, by defeating Dr. Robotnik, hopefully all in time for dinner. Sonic must streak across multiple levels of increasing difficulty, while rescuing helpless animals from becoming automations and retrieving the Chaos Emeralds from Dr. Robotnik's evil clutches. Fight Dr. Robotnik in difficult boss fights, run, jump, and tuck into an unstoppable ball to spin right through tough opponents. Sonic still has all the moves you remember from your first adventure together. You can run, jump and tuck into an unstoppable ball to spin right through tough opponents, eventually defeating Dr. Robotnik and saving the world. 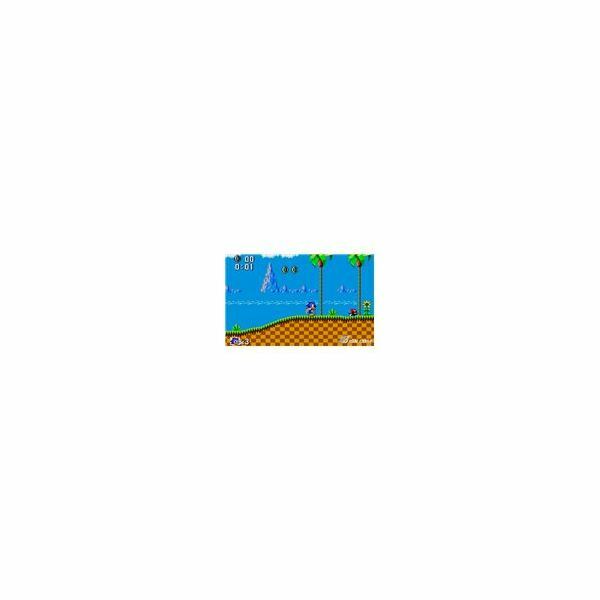 One of the best things about Sonic the Hedgehog was the overall size and expansiveness of many of the levels designed into the game. The puzzle-like level designs of the game combined with the need for increasing precision as the game progresses in levels is truly a pleasure, making this older 2D title a challenge you'll find yourself coming back to more and more. Mix in the price of $8 for this title and its more than worth a few afternoons of relieved boredom. Sonic is still fast, colorful, and wonderfully rendered, with a variety in the look and feel in levels that's still impressive after seventeen years of graphical advancements. Watching Sonic tear through a level using loop-de-loops, tucked into a tight ball, and pinballing around at constantly increasing speeds can give a gamer goosebumps. You will hardly notice the music once you get into the game and start to enjoy the Wii experience of Sonic the Hedgehog, but the songs are enjoyable and appropriate for the action occurring on the screen at all times. Great soundtracks like the one included with the game play of Sonic the Hedgehog could teach some of today's developers a thing or two about music in games. The sound effects are equally well done, memorable enough you may find yourself mimicing it while you play. Still one of the best titles of the Sonic series, despite its simple design and decidedly older age, Sonic the Hedgehog is still a lot of fun, entertaining, and a challenge. Full of large, often difficult, and finely tuned levels, Sonic the Hedgehog still has the playability and simple charm new gamers will love and old friends of the blue streak will make time for. Sonic the Hedgehog rocked the interactive entertainment industry during its days under the sun and this 2D title is still one of my favourite older titles to spend an afternoon or even a few minutes with. Sonic the Hedgehog is as cute, charming, and enjoyable as the first time we were introduced to the little hero, despite seventeen years of aging. There isn't much wrong with Sonic the Hedgehog – he's still charming and wonderful to play with and brings a definitive challenge to the gamers table. Many new gamers, and maybe a few of Sonic's old friends may think he gets a little tough on the upper levels, requiring gamers to memorize significant portions of the game play with repetition, but Sonic's pure and energetic action is still easy to appreciate. Deceptively simple gameplay, challenging puzzle-like levels, and impressive graphics combine with a wonderful soundtrack could make Sonic the Hedgehog attractive to gamers looking for a cheap-fix.